Sweating is a very common phenomenon seen in human beings. It is very normal for everybody to sweat but it becomes a problem when somebody has excessive sweating. Sweating is usually accompanied with body odor and people who sweat a lot also have added body odor which may be quite repulsive for others. 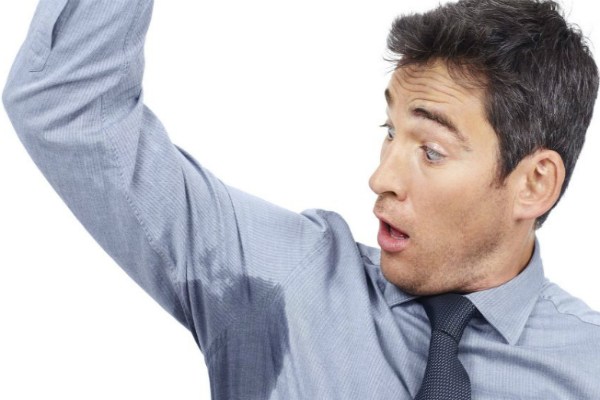 Excessive sweating can be somewhat embarrassing, especially when in a public place. Armpits drenched with perspiration may be quite an abhorrent sight. Our sympathetic nervous system controls our sweating, which is aggravated when stressed, tensed, excited or when doing some rigorous physical activity. Our body even sweats when it feels hot or tired. Too much sweating or axillary hyperhidrosis can be a distressing condition and when left untreated may lead to many social, emotional and physical impediments like depression, lack of confidence, low self-respect, anxiety etc. Those who suffer from axillary hyperhidrosis have steady sweaty armpits for no apparent reason which is followed by a stinky odor. The reason for too much sweating may be primarily due to hyperactive sympathetic nervous system. Other causes may be personal hygiene, genetic, food habits, reaction to some medicine or increased level of stress. It may start at any age especially during puberty. How to stop underarm sweating is a question that constantly bugs people suffering from excessive sweating. Antiperspirants are usually the first thing suggested to such people. Antiperspirants are made of chemicals like aluminum chloride hexahydrate which assists in controlling and combating hyperactive sweat glands in the armpits. They can be bought with or without any medical prescription. They are most effective when applied on dry underarms at night when the sweat glands are less active. But it is wise to wash the skin after roughly eight hours. It can be used daily for few days but prolonged use may cause skin irritation and itchiness and render the antiperspirant ineffective. Many people uses deodorants for the same purpose but in reality, deodorants only work to conceal body odor and does nothing to control perspiration. Iontophoresis may also be a possible answer to how to stop underarm sweating. It is done by a dermatologist who passes gentle electric current through the underarms which is highly effectual in stopping excessive sweating. But it is not advised for certain patients who are pregnant or have pace-makers. Botox injections have also been found effective in curing axillary hyperhidrosis. But this too should be done by a practicing doctor. There are few natural remedies too for how to stop underarm sweating. Apple or malt vinegar when applied at armpits at night regularly is known to stop perspiration and controlling smell. It also helps in keeping the area dry. A mixture of baking soda and water helps to absorb sweat and prevents its formation. The freshly extracted juice from turnip is also good to control sweating. Along with these home remedies, a person should also keep few other things in mind like wearing clean clothes made of natural fibers which help the skin to breath. People should also wear clean undergarments made of cotton. It is also good to keep the underarms hair free and always take a warm bath using mild antibacterial soap.